Even if you are not what you should be, you should not despair. It is bad enough that you have sinned; why in addition do you wrong God by regarding him in your ignorance as powerless? Is he, who for your sake created the great universe that you behold, incapable of saving your soul? 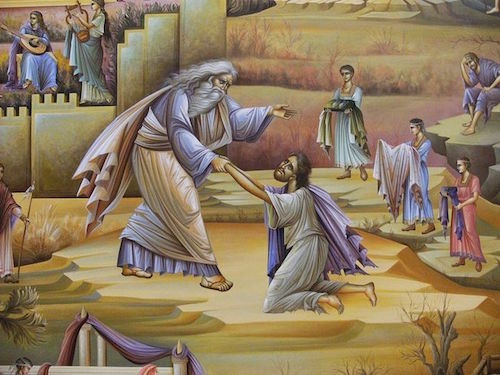 And if you say that this fact, as well as his incarnation, only makes your condemnation worse, then repent; and he will receive your repentance, as he accepted that of the prodigal son (Luke 15:20) and the prostitute (Luke 7:37-50). But if repentance is too much for you, and you sin out of habit even when you do not want to, show humility like the publican (Luke 18:13): this is enough to ensure your salvation. For he who sins without repenting, yet does not despair, must of necessity regard himself as the lowest of creatures, and will not dare to judge or censure anyone. Rather, he will marvel at God’s compassion.